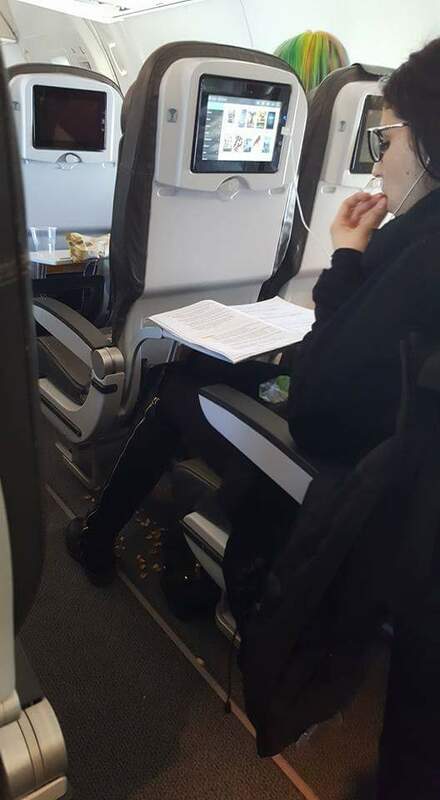 A female passenger was caught dumping her pistachio shells on the floor on a flight from the US to Ireland, and the act has left Reddit users fuming. A fellow flyer managed to capture the moment on camera and upload it to the popular forum, which then opened up the floodgates of harsh commentary. “No matter how you rationalise it, she is a pig who belongs in a barn. You don’t do this kind of thing on an aeroplane,” wrote one user. “What an entitled trashy person,” another stated. Many users also voiced their sympathy for the flight attendants on board. “Now it's someone else's job to clean up after you!” mwenechanga wrote. But there were some who didn’t see a problem with it. “There's a great chance her thought process is 'they have to vacuum the floor anyway, so who cares is there's a little more trash on it,” angrylawyer wrote. This article was first published on 7Travel.